"A MILE IN OUR SHOES"
is a documentary film for those of all ability's. “A Mile in Our Shoes”. Thank you all so much for watching. TDH & USPF would like to thank the following individuals, organizations and businesses for participating in the creation of this film. Special thanks to the backpackers who could not join us. Please know that our thoughts were with you as we traveled. Lon Diffenderfer, Jenny Casey, and Omega Kimoto. * Brock's album, “Outtakes from the Soul,“ is available on CD Baby iTunes and Amazon. Other contributions to the project are as follows. Peerless Printery of Easton, PA.
Shawn Fernsler & Robert Fernsler, Jr.
Bear Spray for the film crew was donated by Omega Kimoto. SD memory cards were donate by the following individuals businesses and organizations. ~ Geraldine & Julian Phillips... and Caesar. ~ Knock Out Pain Support Group. Chronic pain support group for the Lehigh Valley and surrounding areas. ~ Hope Marotto and Blush Cosmetic Enhancement Center ? Special thanks to Melissa Garon and the folks at The Wildergimp for the inspiration, advice, and support given to TDH over the years. Special thanks to all who have given both their time and their compassion towards this project, as well as the adaptive backpackers who desired to join us but could not due to their health and/or situation of the moment. Special thanks also to all the good people at U.S. Pain Foundation for all their support and kindness. I would also like to thank my fellow backpackers Shanna and Tracey for joining me as we walked a mile in our shoes... and a few steps in each others as well. Be well and Happy Hiking! Disclaimer: This blog, written articles, video presentations, and all content within are not intended to take the place of professional medical advice. Please consult your Doctor before making any changes to your treatment plan and/or changes to your exercise routine. My name is Terry Craig, a.k.a. 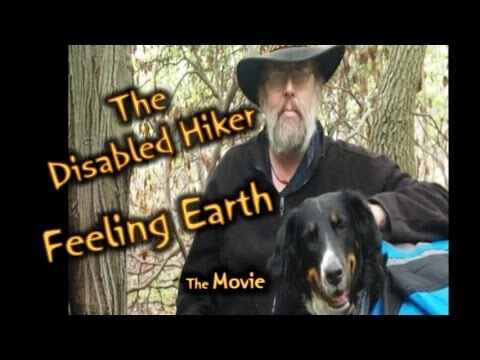 THE DISABLED HIKER. 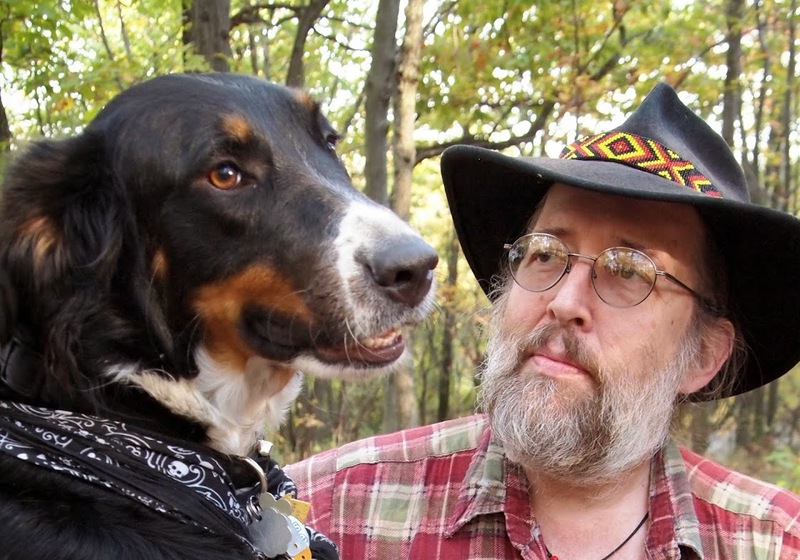 I am a blogger, product reviewer, and guerrilla filmmaker living with disability who has spent over two decades teaching myself, and now others living with disability how to continue enjoying the hiking, backpacking, and camping, through innovation, adaptation, and a sense of understanding the wilderness. 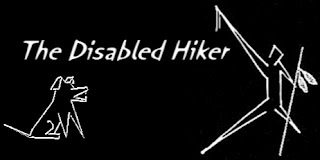 The Disabled Hiker is a source of hiking gear reviews, DIY videos, and articles on safe backpacking and camping techniques while promoting nature as part of the healing process. 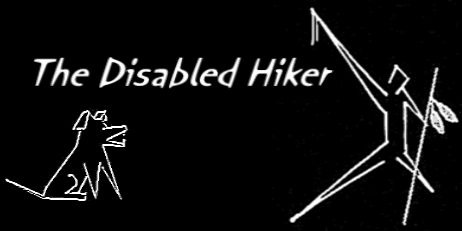 The Disabled Hiker reaches out to not only the adaptive hiking/backpacking community but also those recovering from injury, their caregivers and family members, as well as the many kind and understanding hearts who support and hike with those living with the extra challenges we face. Sait Bernard Rescue Foundation, Inc.